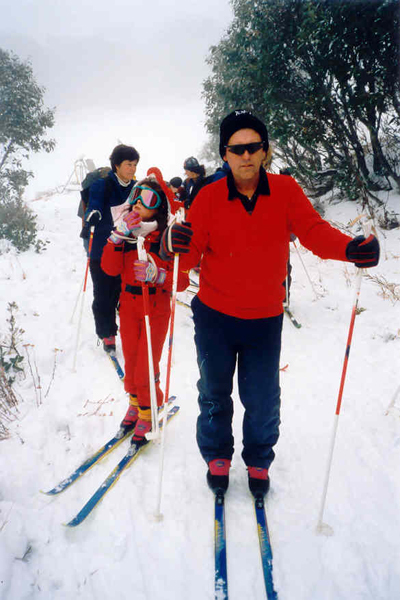 Merrijig Primary School runs an extremely successful skiing program throughout the winter on Mt Buller. Usually the entire school participates in skiing lessons. The program varies to reflect the needs and abilities of all students. A beginner can expect to participate 1 day a week for 6 weeks in downhill ski lessons. For intermediate to advanced skiers the program can include additional race training for students competing in Interschool Skiing Championships. Students are transported to Mt Buller on the public bus (parents are asked to cover this cost) and spend the entire day at Mt Buller with two 2 hour skiing lessons. Ski equipment is hired, and students must provide their own ski clothing. A subsidy exists to assist families experiencing financial difficulty to ensure all students have equal access to skiing opportunities. It is distributed at the discretion of the Principal. Merrijig Primary students are all given the opportunity to participate in the Victorian Interschool Snowsports Championships (Interschools). Parent assistance is essential for the skiing program to run. An all school meeting will be held at the end of Term 2 for parents and students. The skiing program will be discussed and parents given the opportunity to offer their assistance. A meeting will also be held prior to Interschools (for participating families) to discuss the program and give parents the chance to offer their assistance. Swimming programs are conducted in summer at the Mansfield Swimming Pool and Mansfield Aquatics. All students participate. Our students have the opportunity to compete in local athletics and cross county championships. Training opportunities are provided at school prior to the event. Many of our students have been successful at the North East and Zone Championships.